Worried that your resume won’t stand out for that perfect job when compared to hundreds of eager job hunters? One of the BEST ways to distinguish yourself is to measure and document your performance against that of peers (or previous incumbents). Competitive intelligence isn’t new. Anyone who sells solutions is constantly positioning their product for a win against similar offerings. And guess what? In a job search, YOU are the product. Therefore, your resume must explain the reasons you’ll continue to outperform others in your next job. 1 – Assess your predecessor. Most employers find it necessary to reorganize teams from time to time, so you’ve probably found yourself taking over a role from a former colleague. You may have even been hired to replace an underperforming manager, which gives you a great foundation on which to base achievements. If so, you’ll want to quantify the results you gained over that of the previous incumbent. Turnaround performance is a great differentiator, and was used as part of the strategy on this resume for a Denver-based COO in the real estate investment industry – showing how he walked into specific challenges and removed obstacles to revenue success. 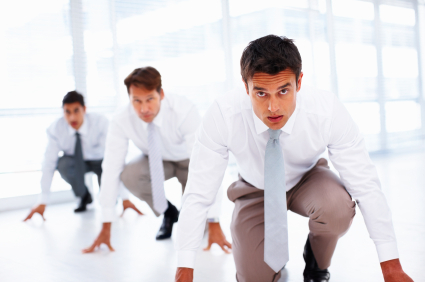 2 – Compare yourself against colleagues. Believe it or not, a side-by-side correlation between your results and that of your peers will help your resume writing skills. Was there a reason your boss selected you to lead a particular initiative? Were you promoted faster than your colleagues? Are you frequently pulled into leadership meetings to provide strategic input? If any of these situations apply to you, document the ways you’re differentiating yourself, and then leverage them! This example of a Sales Resume for a B2B sales executive in Minnesota shows how we compared his revenue achievement to peers – demonstrating better (and faster results) that intrigued employers. 3 – Evaluate your performance against the entire industry. Here’s where economic conditions come into play. If you’re in a sales role, you might find that you’ve earned Top Producer ranking in a down year… when others in your industry struggled to even make quota. Take stock of your performance against that of peers in other companies. Did your company stay in business – even when others shut their doors? Were you able to produce revenue-generating or market-capturing strategies in an industry known for slow growth? If these scenarios apply to you, note both the achievement and the conditions on your resume. Employers are keen to hire candidates that are able to address and resolve obstacles, especially in a recession! In summary, even if it seems that you’ve just “done your job” throughout your career, chances are good that you can think of ways your performance differs from that of other team members or executives. Adding comparative analyses to your resume – with a full description of your results against others – will help you make a stronger, standout impression. I could not agree with you more. As you know I specialize in preparing resumes for those in Finance and Wall Street Executives. In order for me to provide the effective documents I have come to be known for, I relentlessly work with my clients to uncover and derive quantified results. Additions, proved to differentiate my clients from their competitors and succeed in procuring interviews. Thank you! I totally agree that competitive differentiation is even more important in analytical fields, including finance, IT, and operations. Employers who scan these resumes will be able to quickly spot our client’s edge when spelled out in metrics. Good to see you here! I always ask how the industry is faring in the recession, because it makes such a great backdrop to my client’s performance (and points out to employers what they’re missing if they pass over this candidate). Thank you for your note! Great twist on how to out shine the competition. Shining in a world filled with hungry competitors is often difficult, but finding new ways to enhance our abilities and make them appealing and comprehensible is the key to success. Great job bringing these points to the fore!